At Nature's Best we have a large range of comfortable and supportive beds, mattresses and mats for your dog or puppy in stock, available in a variety of different styles, colours and designs. Whether you are searching for something to keep your furry friend warm and cosy during the winter months, or looking for a bed that properly supports an ageing dog's stiffening joints, bones and back, then Nature's Best has exactly what you are looking for! 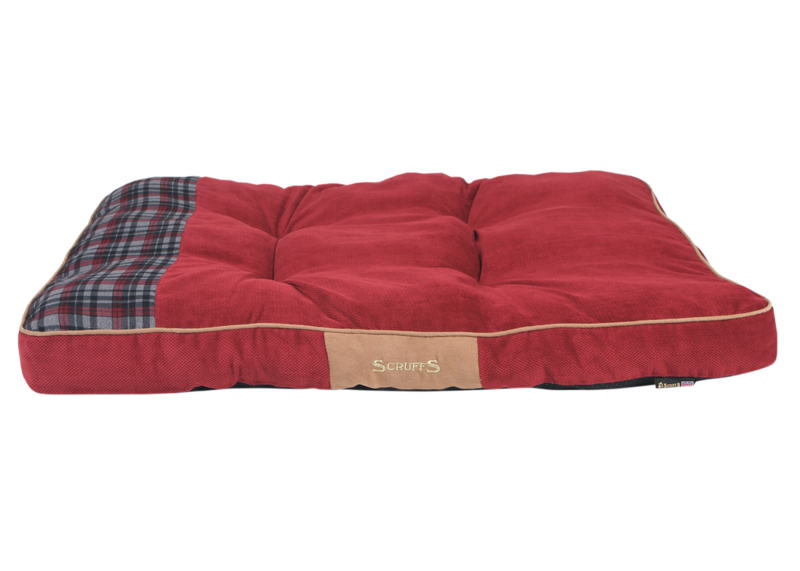 Scruffs Insect Shield Bedding features lightweight fabrics that are particularly suited for use during the warmer, summer months. Each product has the Insect Shield treatment applied effectively to protect your dog against Mosquitoes, Fleas, Ticks, Flies and Ants. With three different designs to choose from, there is something suitable very sized dog. 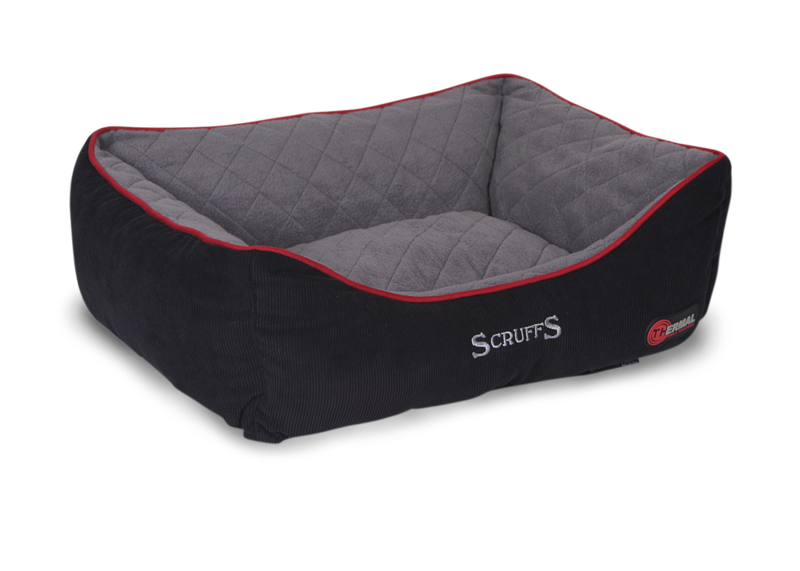 The Scruffs Insect Shield Mattress is perfect for dogs who love to sprawl, while the Scruffs Insect shield Soft Walled Bed is perfect for dogs to snuggle up and relax in. Meanwhile, the Scruffs Insect Shield Crate Mats provide comfort and protection against insects while travelling, or crate training. The Scruffs Insect Shield Blankets are perfect for your pet to snuggle up in, while effectively protecting them against insects with Insect Shield treatment. It is also made out of soft, low pile fabric and is machine washable. Use alone, in a pet bed, or in a carrier. 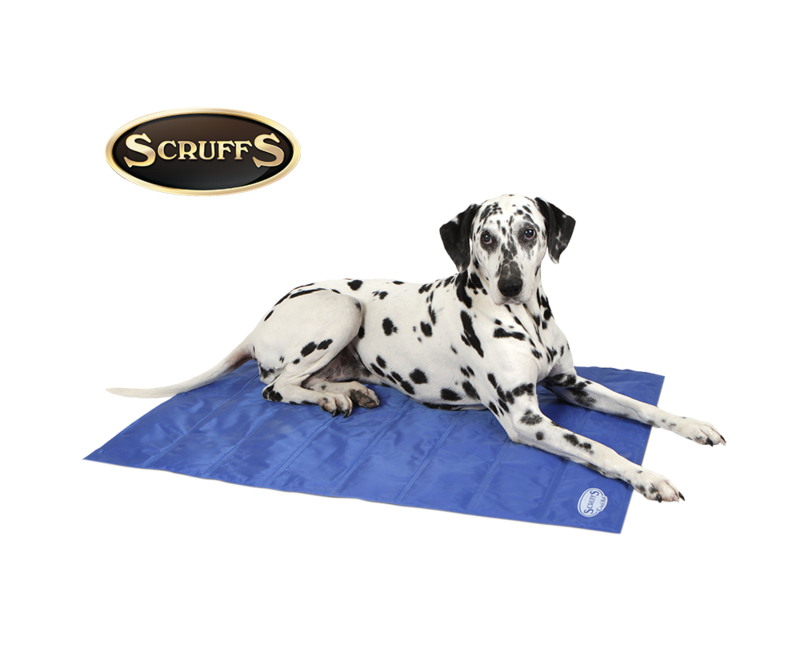 The Scruffs Cooling Mat is specially designed to provide instant relief for dogs during the warmer weather. Featuring non-toxic gel, the Cooling Mat typically stays 5-10 degrees cooler than room temperature for up to one hour. To reset the temperate, simply leave unused for an hour. There is no need to freeze or refrigerate. ​The Cooling Mat is easy to clean, just simply wipe clean using warm and soapy water, then rinse with clean water. Ideal for dogs who love to sprawl and can be used alone, in an existing pet bed, or placed in a pet carrier while travelling. Air pockets insulate your pet. Foil layer reflects your pet's body heat. Ideal for dogs who suffer from arthritis, ill pets, young puppies, or those dogs who simply enjoy extra warmth. Each thermal bed, mat and mattress contains a foam layer that is backed with reflective foil. This layer is surrounded by quilted polyester fibres and the beds main fill. This allows the bed to reflect body heat and keep your dog warm. Added insulation is provided from the polyester layer that is covered by soft fleece that holds warm air. All beds feature a non-slip cover and are machine washable. 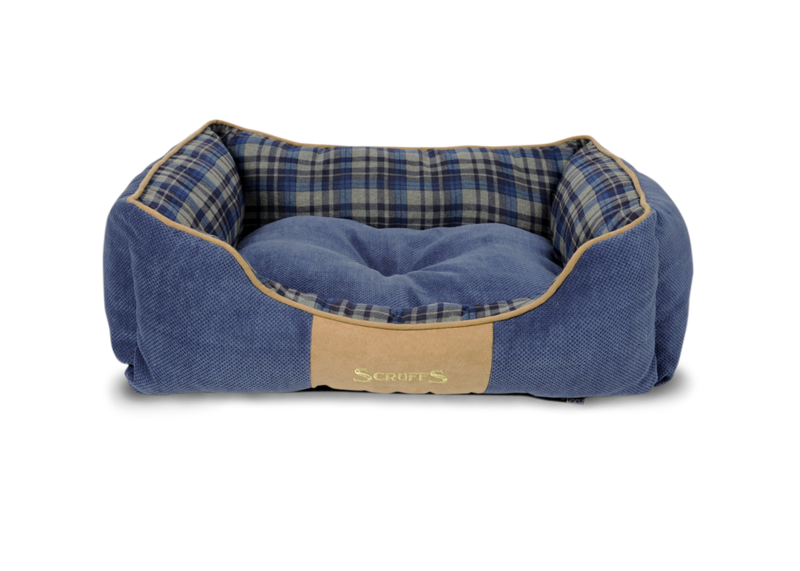 The Scruffs Thermal Box Bed is a self-heating bed that is perfect for those colder, winter nights to keep your dog nice and warm. The Scruffs Thermal Mat is a self-heating mat that is perfect to either use on its own, in a crate while travelling, or in an existing pet bed. 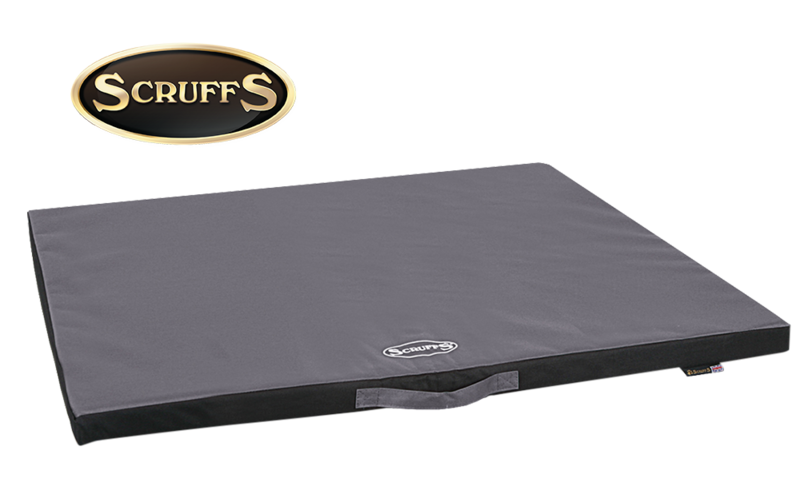 The Scruffs Thermal Mattress is a self-heating mattress that is perfect for keeping your furry friend nice and warm during the winter months. Filled with dense crumb memory foam fill that moulds to the dog's shape. Covered in a soft plush top with faux leather side walls. Inner water resistant liner to protect from moisture and odour. 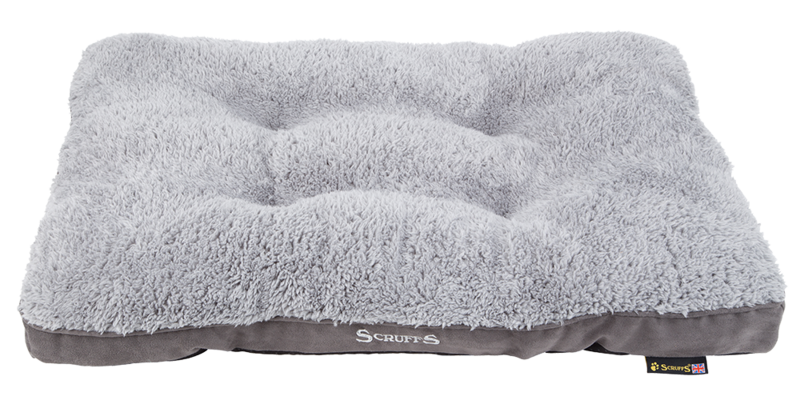 The Scruffs Chateau Orthopaedic Pillow is ideally suited to mature dogs, or dogs who require more bone, joint and back support. The bed is filled with a dense memory foam crumb, which perfectly moulds to your dog's shape for that extra support. Inner water resistant liner that protects it from moisture and odour. 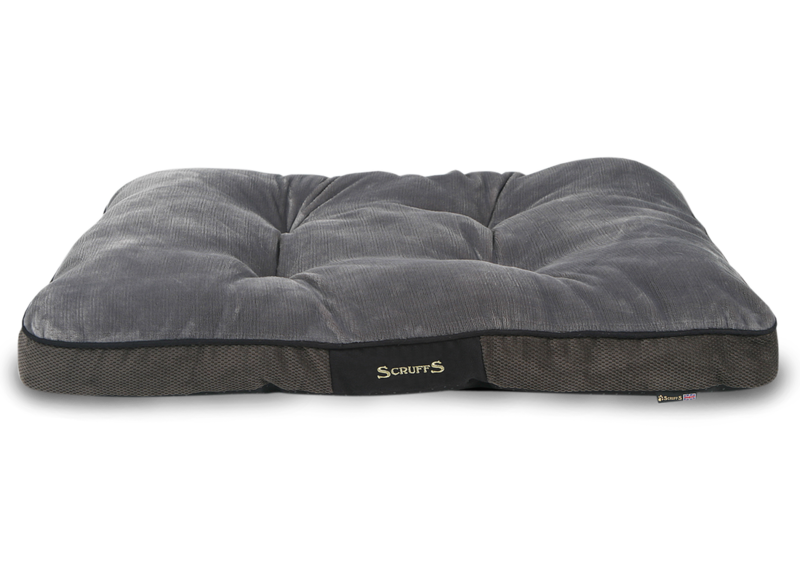 The Scruffs Milan Orthopaedic Pillow is ideally suited for older dogs that require more support for their joints, back or body. ​Available as 100x60x6cm or 120x75x8cm. 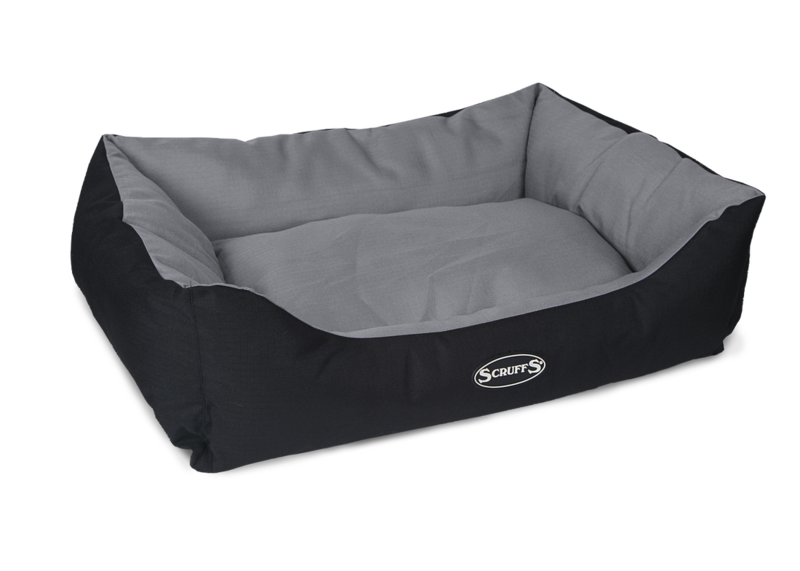 The Scruffs Milan Orthopaedic Box Bed is ideally suited for older dogs that require more support for their joints, back or body. It achieves the ultimate level of support through a special crumb memory foam that perfectly moulds to your pet's shape. Available in 3 different colours and measures 90 x 70 x 19cm. Surface is treated with Silver Technology, resulting in a 99.9% reduction of bacteria. 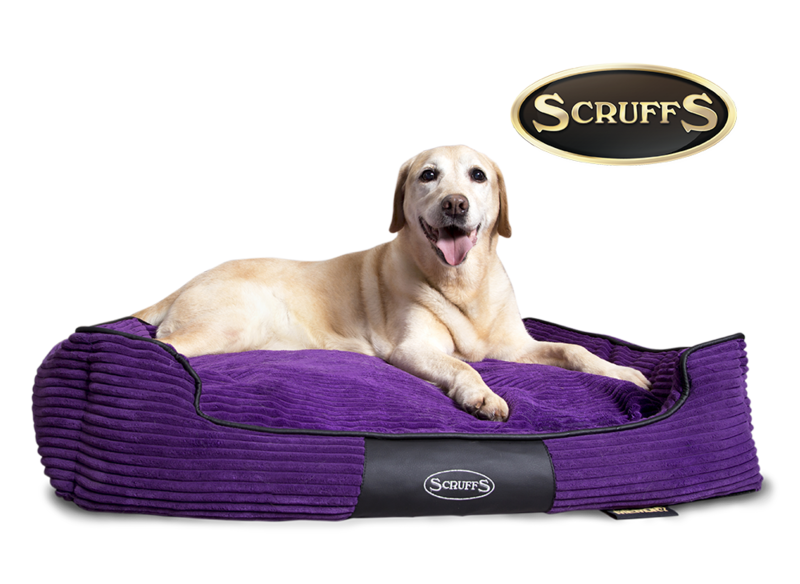 The Scruffs Expedition Orthopaedic Pillow Bed is perfect for dogs who need any extra support for their joints, bones or back. Also ideal for dogs who love outdoor activities, like running at the beach or muddy forest walks. Available at 100x70cm or 120x80cm. 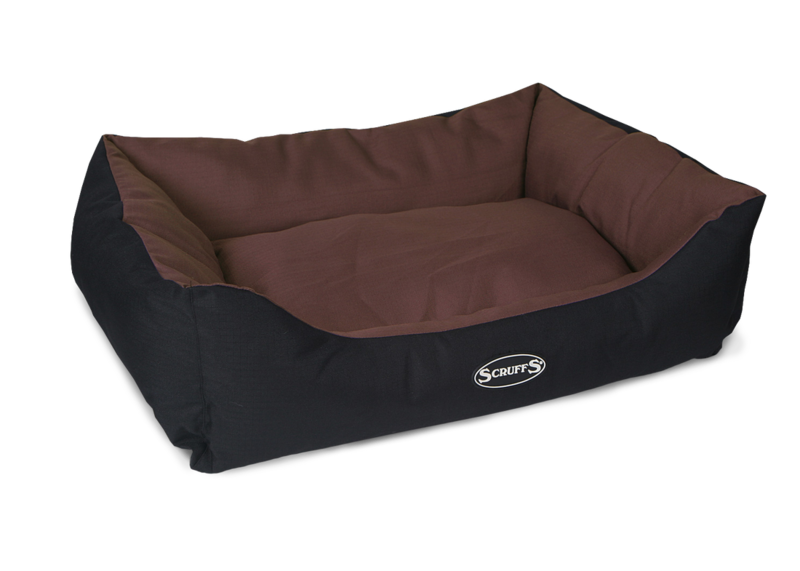 The Scruffs Expedition Box Bed is the ideal solution for dogs that enjoy outdoor pursuits, such as beach walking and muddy forest trails. Filled with a 100% recycled green fibre fill that offers soft cushioning, resilience, and insulation, this soft-walled box bed also offers improved support and durability. 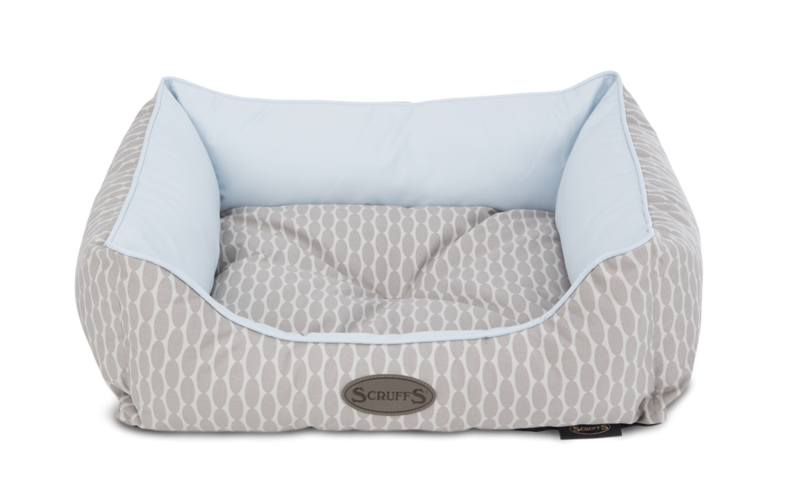 The Scruffs Siesta Box Bed and Mattress are upholstered in a breathable and soft poly-cotton fabric, making it an ideal solution for the warmer, summer months. Filled with a 100% recycled green fibre, it offers soft cushioning, resilience, and insulation to your dog. Also features a non-slip base and is machine washable. 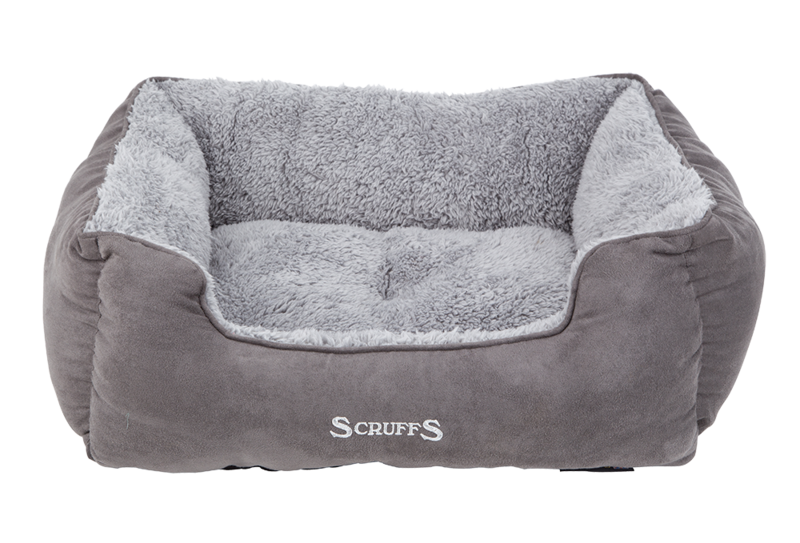 The Scruffs Chester Box Bed and Mattress are luxurious and super soft, making it the perfect snug environment for your dog to relax or sleep in. Because of its one-piece construction, the Chester Box Bed provides greater support for your dog's joints, bones and back, while the Mattress allows your dog to sprawl. Also features a non-slip base and is machine washable. The Scruffs Highland Box Bed and Mattress comes in either a vibrant red or calming blue colour, complemented with a classic tartan print. Because of its one-piece construction, the Highland Box Bed provides greater support for your dog's joints, bones and back, while the Mattress is perfect for dogs who love to sprawl. Also features a non-slip base and is machine washable. 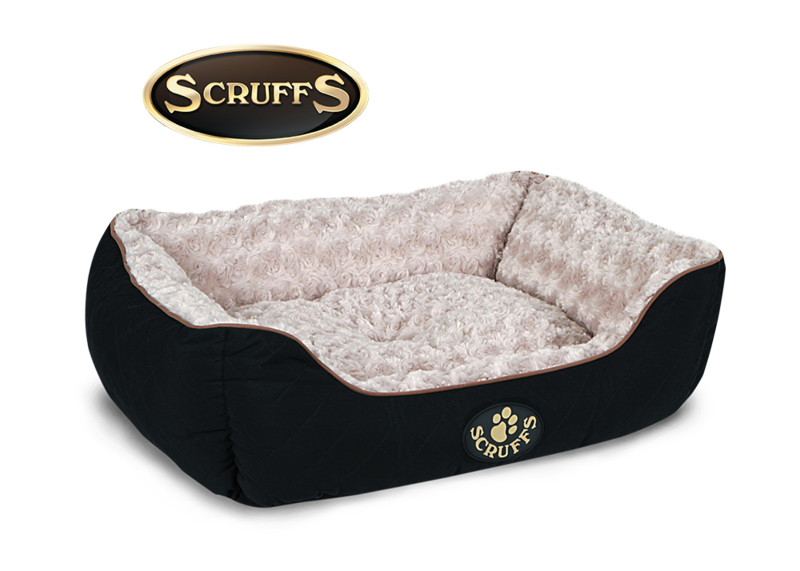 The Scruffs Cub Bear Bed is so luxurious, snuggly, and super soft that any dog will find ultimate comfort. This bed features a faux fur cover that is machine washable and is filled with sumptuous hollow fibre to provide extra support for their joints, bones and back. The Scruffs Classic Box Bed and Mattress is made from a popular faux suede material with a simple yet classic appearance. Because of its one-piece construction, it provides comfort and support for your dog's joints, bones and backs. Also features a non-slip base. The Scruffs Noodle Dry Mat is super absorbent and soaks up any excess moisture so your dog's coat will dry quicker after a muddy and wet walk. Features microfibre material textured into 'noodles' by ultra fine strands woven together for super absorbent properties, improved airflow, and reduce drying time. Has a non-skid surface underneath making it ideal for car trips, in the crate or around the home. 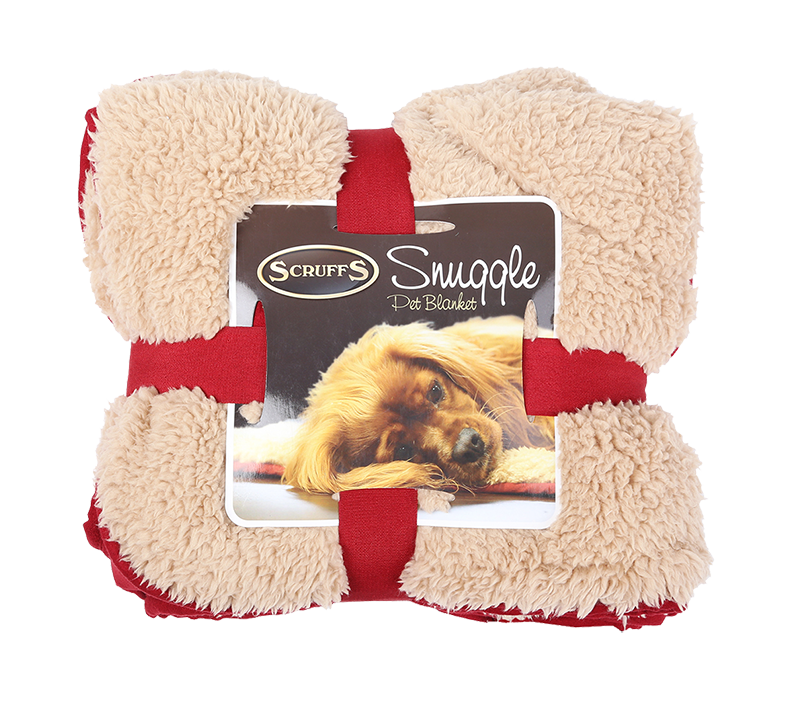 The Scruffs Snuggle range is perfect for your dog to snuggle up in and keep warm. Features a soft plush lining for colder days and faux suede cover for those warmer days. Available in Chocolate, Navy and Burgundy. The Scruffs Cosy Collection is a limited edition set of soft and luxurious beds and blankets. The Cosy range features a soft plush lining for ultimate comfort and offers a cosy, snuggly environment for your pet. Available in a Mattress, Box Bed and Blanket. 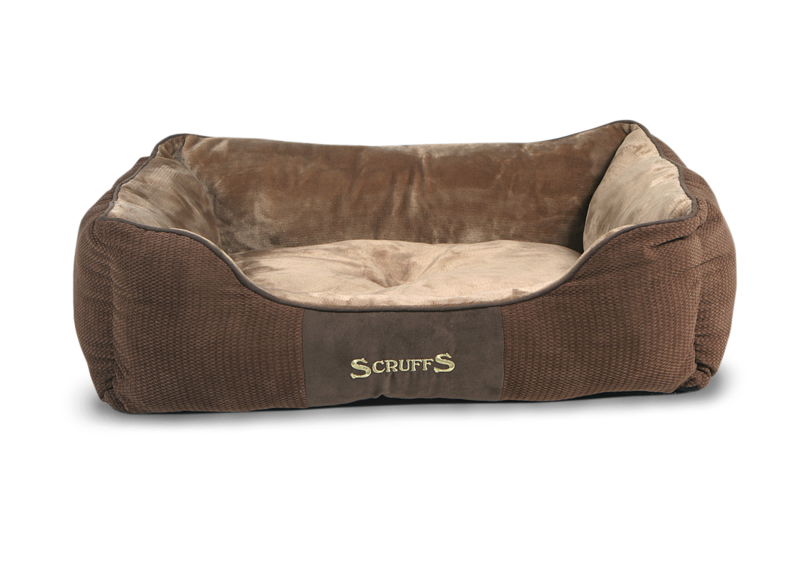 There are also display units available of a number of Scruffs Bedding products.